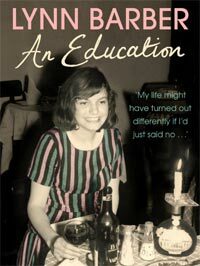 “I was damaged by my education,” writes renowned British journalist Lynn Barber at the end of the captivating centerpiece essay in her newly published memoir “An Education,” a sober conclusion to a personal account that otherwise brims with breezy anecdotal humor. The eponymous “education” is not academic, though she makes clear her lingering resentments over that too. Rather it’s an emotional – I’d say sentimental, but Barber treats it with too much venom for that – education, covering not only romantic and sexual instruction, but a deeper acquaintance with the betrayals and hypocrisies of adulthood. The ostensible antagonist of the piece is the older lover who courts and ultimately cons the naïve 16 year-old Barber, but it becomes clear that she is using this story as a lens through which to examine the failings of her own parents, who allowed – encouraged, even – the end of a schoolgirl’s innocence. It’s a forthright, often cruelly funny reflection that braids unconditional affection with anger, and it’s little wonder that producer Amanda Posey immediately saw its cinematic potential when the essay was published in literary magazine Granta in 2003. The journey from page to screen in this instance is a rather circuitous one. The essay, which served as the sole source for the screenplay by superstar novelist (and Posey’s husband) Nick Hornby, is now but one chapter of Barber’s full-length (but at 180 pages, in huge type, rather rushed) memoir, which appears to have been published primarily as a tie-in to director Lone Scherfig’s film. The film carries no such baggage, given that it takes the essential narrative of Barber’s teenage years – well-to-do public schoolgirl has her heart captured and broken by a roguish wideboy at least a decade her senior – and takes it into the realm of fiction. The fact that Barber, while well-known in media circles, isn’t quite famous enough for a formal biopic was probably a consideration; more crucially, however, I suspect Posey and Hornby preferred to disassociate themselves from the familial rancour that characterizes Barber’s telling of the story, an intimate agenda that can hardly be translated to film. I’m interested, then, to see how much of the anguish and occasional bitterness of Barber’s tone survives amid a story that is equally colored by the joy of personal discovery. Hornby is an intriguing choice for this material, given that his own much-filmed literary output (“About a Boy” and “High Fidelity,” among others) is characterized by its use of wry incidental humor to sweeten the pill of darker human truths. It’s a compelling period, on the cusp of major upheaval in the realm of class and gender constructs – Barber’s fury at her parents stems from their insistence that she accept her lover’s marriage proposal instead of continuing her education. (A defining quote from her mother: “You don’t need to go to university if you’ve got a good husband.”) As such, the story parallels TV’s “Mad Men” as a study of the era’s mores, which makes a film version all the more cannily timed. All of which is a long way of saying that, for all the nostalgic sweetness and girlish sensibility (another interesting leap for Hornby, given his reputation as a chronicler of the male experience) of the material, there is enough depth and resonance here to satisfy more demanding audiences – an accessible balance that, coupled with rave reviews for the film, could well capture the attention of the Academy. I’m wary of using Barber’s text to project character expectations for the film, since it’s clear that Hornby has taken multiple liberties in that area. It’s hard to connect Barber’s wholly unsympathetic portrayal of her older lover Simon (renamed David in the film) as morally bankrupt, faintly perverted charlatan with the significantly smoother, more charismatic image of star Peter Sarsgaard, though his corruptions render him an exciting character. (For starters, Barber makes it brutally clear that Simon, unlike the Nordically-sculpted Sarsgaard, is no oil painting.) I would guess that the film hinges on a purer romantic attraction between its leads than the curiosity-led motor that drives the affair in Barber’s account. Other figures offer enticing teases of presumably more complete characters on screen: Barber’s sketchy portrait of Helen, a dim but well-meaning trophy girlfriend of Simon’s associate, is tinged with a melancholy that Rosamund Pike could build into something special; a brief but amusing showing for Barber’s behind-the-times school headmistress should translate into a nice cameo for Emma Thompson. Still, much as the film’s reviews have focused on probable awards contender Carey Mulligan as Barber’s fictional self (renamed Jenny in the film), the journalist is the star of her own story. Barber’s self-portrait isn’t entirely flattering – touching on the youthful shallowness and impetuosity that leads her into such dangerous emotional territory – but the reader easily falls in love with the giddiness and skewed humor of this precocious young girl, and fears for her inevitable damaging. Just read the story from guardian. Very touching, looking forward to reading the whole book. When I saw the film at Sundance I didn’t know it was based on a “real” case. I’m assuming this is a low-budget film, so is the period setting integral to the story, because this might not have the big production values of Hollywood’s usual Oscar fare. Absolutely. I thought I made that quite clear in the piece. And it may be low-budget, but everything I’ve seen of it thus far looks very polished. could someone tell me what the role of the guy at the racetrack was? I had the idea that our protagonist was being used as a bargaining ship of sorts with him…could you tell me why this bit was in the film?